To put it frankly, B.o.B’s entire career has revolved around an attempt at transcendence. He’s got bars but doesn’t want to be labeled as a one-toke wordsmith. He’s got club bangers but doesn’t want to be slotted merely as a vessel for the strippers and ballers. He’s got Billboard chart-toppers with pop behemoths such as Weezer, Taylor Swift, and Bruno Mars, but doesn’t identify as a traditional pop artist. He has aspired to be something enigmatic, a mystifying breath of fresh air and musical conundrum that could rest comfortably in the pantheon of the likes of Jimi Hendrix and Bob Dylan, breaking tradition and inaugurating a timeless stamp on the music establishment at large. But despite an undeniable level of multifaceted talent, B.o.B is not, by and large, considered one of the trailblazers of contemporary music. And due to a few humdrum mixtapes and albums, B.o.B has only himself to blame. Madcap social media ravings about the Earth being flat and label politics is for the birds because at the end of the day, fans only demand a paltry wish from their musicians — that the music be good. Bobby Ray’s last string of releases — No Genre, Psycadelik Thoughts, and Elements mixtapes were tolerable material at best, containing a handful of gems within the squalor, but nothing to cement his legacy as the ingenious artist he is not only capable of being but actively pursues. They can be best summed up as B.o.B shouting 2 Chainz “I’m Different-isms” as he continued to posture himself as an artist at odds with traditional limitations, but rarely succeeding. 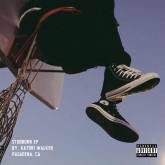 With Ether, his latest and first independently released project, B.o.B undertakes the strenuous task of making his name musically relevant again, with less stress on retaining an alchemistic ambiance. The album commences with an interesting dynamic. On “Fanmail,” B.o.B recites a letter from a fan accusing him of selling out and issues an impassioned response to a label executive ridiculing him for losing touch with his fanbase. Judging from “Fanmail,” an inflamed B.o.B seems primed and positioned to prove the detractors wrong. But instead, B.o.B chooses the shrewd route by not going out of his way to dress up his music with flossy over-exertions that ultimately fall flat. He does more showing than telling this time, and as a result, Ether is a whole is a pleasurable listen– no more no less. “E.T.” does indeed rehash old diatribes about not fitting into the establishment, but the bars are satisfying, and a vintage form Lil Wayne spits one of his best sixteens since his spot on Big Sean’s “Deep.” But “Middle Man/ Mr. Mister” is the peak of the album. 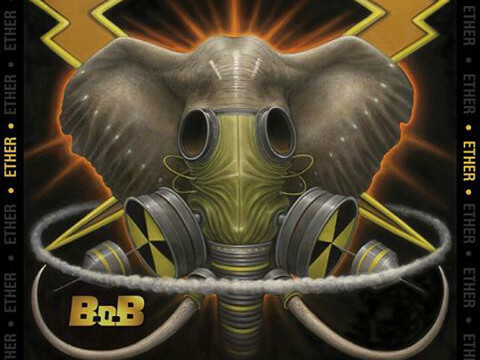 B.o.B sounds relaxed while brushing critics off like flies in the form of witty punchlines, then shifts to an incited demeanor in the second part of the song. B.o.B has a plethora of songs where he posits himself as the unfairly chastised artist, so much so that’s it become his personal cliche and ultimate downfall, but here he turns up the gas, making for an infectious listen. 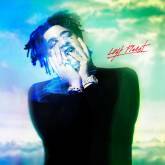 Politically-charged and socially-conscious raps have always been a part of the ATLien’s lyrical arsenal, and on “Peace Piece” he addresses the disenfranchised minorities of America on a funk-laden, laidback instrumental, featuring some fiery flows from Big K.R.I.T. Ether then fires off a few slightly above mediocre party anthems. “Xantastic” contains a lazy chorus that ultimately works well with the drug-infused milieu of a beat. But “4 Lit,” featuring a lethargic T.I. performance and an utterly forgettable Ty Dolla $ign cameo, is a complete letdown, lacking the vitality of other B.o.B/T.I. collabs like “Chosen.” B.o.B tackles his battle with liquor and weed on “Substance Abuse,” but the chorus numbs the moment of clarity, yet “Avalanche” showcases our outcast detailing his fight with depression in a much more compelling manner over a crisp and airy instrumental. The finale, “Big Kids,” featuring CeeLo Green and Usher, continues in this vein, with an enlightened B.o.B spotlighting the pressure adults face as they advance in years. The song is a fitting conclusion to Ether, an album that manages to capture the essence of B.o.B in a restrained approach — not totally enslaving himself to the pressures of tastemakers and losing sight of his own vision in the process. Bobby Ray clearly still has the opinions of critics and fan expectations weighing heavily on his mind, but at least this time it’s not at the forefront of his artistic conscious.